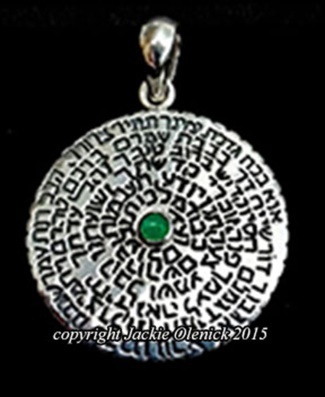 “Ana B Koach” – a powerful healing amulet is a prayer for strength, a prayer to “untie our tangles”. It is roughly 1.25” in diameter, solid sterling with a green agate stone in the center. Cost: $120, free shipping within the continental US. As a healer, I look for tools to enhance subtle perception. This one called, and now it’s enhancing my skill to receive and transmit divine energies. Not just a trinket: these sacred words are powerful agents of change.